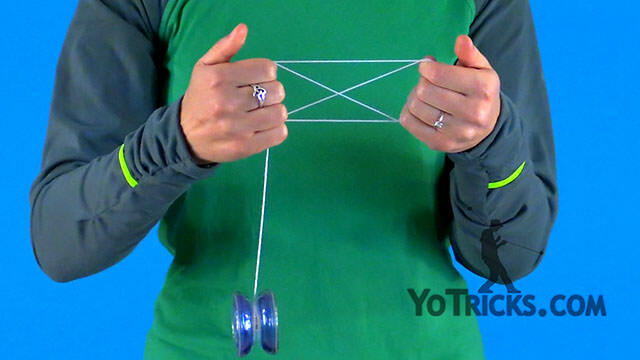 Learn how to do the British Flag yoyo trick. British Flag Yoyo TrickThis trick is called the British Flag, and it looks like this. Before you start working on this trick I recommend that you first learn the Jamaican Flag. Check out our video on that, and get that one down. The reason is because the first three steps of the British Flag are exactly the same as the Jamaican Flag, so that is going to help you learn this one quicker and easier. For now we are just going to let our string hand… our yoyo hand at the bottom of our string. We are going to take our opposite hand and pull the string across our body just like this. Make sure that your thumb is at the top and your pinky is at the bottom and your fingers are pointed towards you. Do the same thing with your yoyo hand, pull it across. Do it a third time again with your opposite hand and bring it across. You will see that you have the beginnings of your Jamaican Flag right here. That is where it is going to end, and your British Flag is going to get a little more difficult. 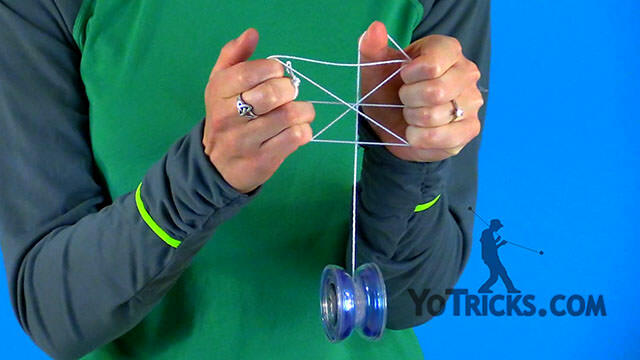 The next step is to take your yoyo hand, and with your bottom two fingers you are going to rotate your hand towards yourself, with your thumb pointed at you, and come down and grab the string and lift it up. You will see that that will make the string drape over your fingers like that. It may feel funny, but that is the way it is supposed to feel. Then you are going to take your opposite hand, and with your top two fingers you are going to do the same thing. You are going to rotate your hand towards yourself, you are going to come down and grab the string. It is going to be draped over your fingers just like that. Then, with your thumb, for the final step, you are just going to lift it up – you are going to lift the string up – and kind of hang it down the middle. That gives you the completed flag just like that. We are going to go through that one more time, and I am going to give you a couple of helpful tips. The first one is when you are starting to learn this trick it helps to use a longer string than you might normally use. With the number of grabs, and the detail of this flag, you are going to find that you might run out of string pretty quick at the beginning when you are first starting. It also helps to make your flag a little bit smaller than you would make your Jamaican Flag. So, you grab, grab, grab. At this point it is good to adjust the flag and get the strings nice and taut. The reason it is important to start doing it here is because when you start doing your other steps the trick is a little unforgiving, and you are not going to be able to do any more adjustments, so if you mess up, or if there is a string that is loose you are probably just going to have to start over from the beginning again. Make sure it is nice and tight and go ahead and do your last couple of steps. Lift up with your thumb and bring it across the top. If you find that the top of your flag is drooping you just need to rotate your yoyo hand a little bit to get it nice and tight like that. 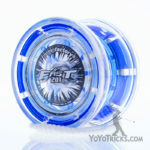 Let’s show you that trick with the yoyo spinning.